A Stafford Hospital manager who was sacked earlier this year has lost an appeal against her dismissal. 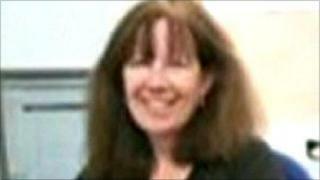 Kate Levy was sacked from Mid Staffordshire NHS Trust after asking a doctor to suppress details about a patient's death. John Moore-Robinson, 20, died in 2006 after being discharged from hospital with an undiagnosed ruptured spleen. Ms Levy's actions came to light during the Francis Inquiry which looked into standards of care at the trust. Mr Moore-Robinson, from Coalville, Leicestershire, was taken to the hospital's accident and emergency department after a mountain bike accident in Cannock Chase. An X-ray revealed he had broken ribs but no scan was carried out to check his spleen and he died hours later. Senior consultant Ivan Phair said in a report written several weeks later that in his opinion the death was "avoidable". He said: "There is a high probability that the level of care delivered to Mr Moore-Robinson was negligent." Ms Levy, who worked as the trust secretary and head of legal services, did not want Mr Phair's comments to be mentioned in an inquest and therefore reported in the press. She wrote two memos to Mr Phair asking for him to delete the criticism to avoid further distress to Mr Moore-Robinson's family and "adverse publicity". Trust chairman Sir Stephen Moss said in a statement after the appeal: "The trust would like to take this opportunity to reiterate our sincere regret that the actions of our staff caused additional distress to the family of John Moore-Robinson". He added he hoped the appeal decision "demonstrates our determination to hold our staff to account for their actions". The independent report into care at the hospital, led by Robert Francis QC, was published in February. It looked into events at Stafford Hospital after an earlier Healthcare Commission report revealed a catalogue of failings at the trust.